Tomorrow is my personal financial Waterloo- the National Book Festival. Pray for me. I just got done reading O Jerusalem! which is one of the BEST books I’ve read in a long time and you should be reading it too if you’re at all interested in Israeli/Palestinian history, so I’m all in the mood for some pictures from 1948. 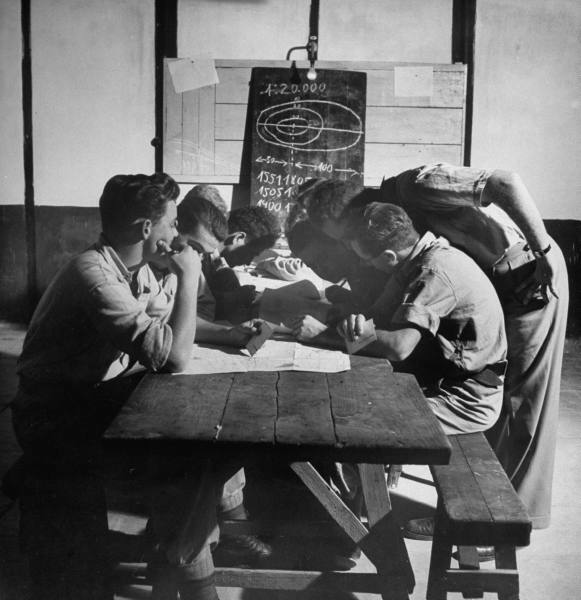 Haganah members in topology class. I could spend hours browsing the Life archives on Google. [Tomorrow is my personal financial Waterloo- the National Book Festival. Pray for me. I haven’t had the chance to listen to this yet, but I’m sure it will be awesome.